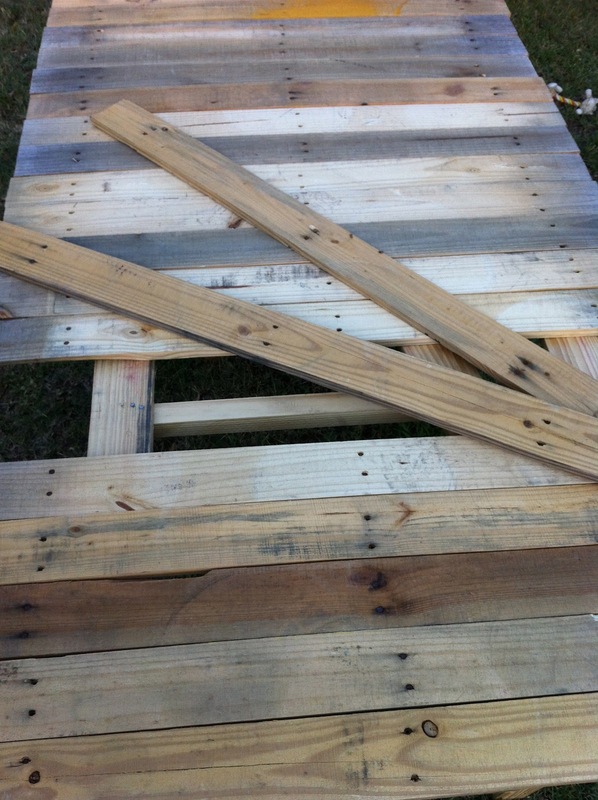 Hello pallet lovers and do it yourself..ers. this is not my first build but it is my first blog post on a pallet project. 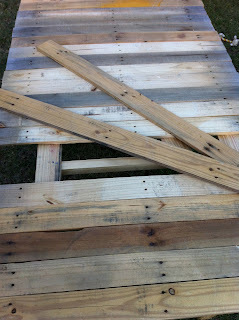 After browsing the web and seeing so many, many images of wonderful pallet projects I myself have fallen deeply in love with the idea of turning old pallets (that would have otherwise ended up in a landfill) into something new and giving them a second life as something useful and usable around my home. The added perk of course is that pallets are usually free. 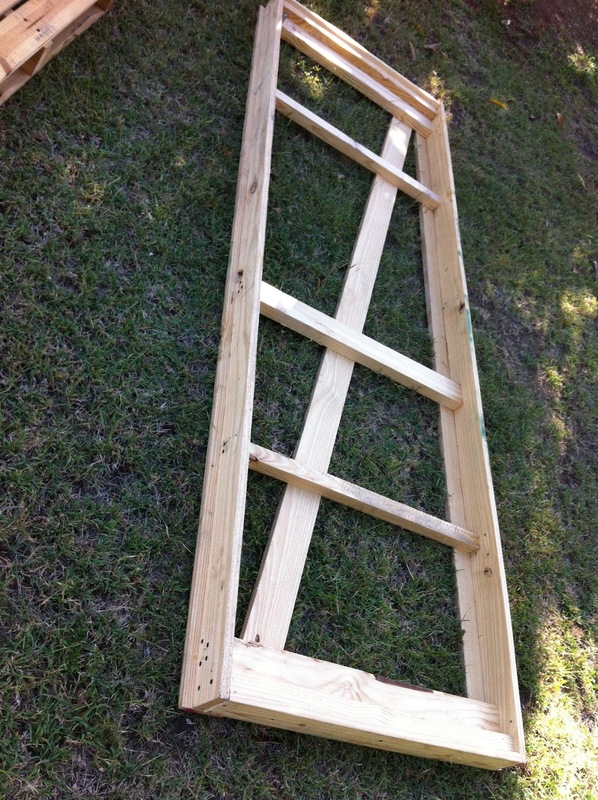 This first post is on building a somewhat rustic picnic table for our backyard.So here we go with a little labour and a few screws and some wood glue we will be ready to entertain a few of our friends in the backyard on our picnic table de pallet. I used two types of pallets for this build. The first is a paint pallet that is used to ship paint products to retailers like sherwin williams and the second longer one was custom built to ship a large riding lawn mower. Both of which were heat treated or HT. Grace Face approved pallets for build. I was very fortunate that the pallet from the riding lawn mower was already broken down and most of the pieces were still usable all I had to do was gather them up and transport them home. Next using an electric hand saw with a 12" metal blade I removed the top slats from three painters pallets and set them aside to be used later for the top of the picnic table. 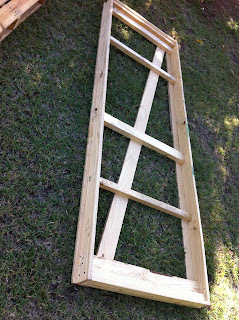 Picnic table frame pictured with what will be a bench. There is a little more screwing and sanding to do before this project is complete so we will see you in the next blog post with our finished picnic table and hopefully the bench to go with it...of course this to will be made with pallets. Please leave your questions or comments on this build in the comment thingy below.